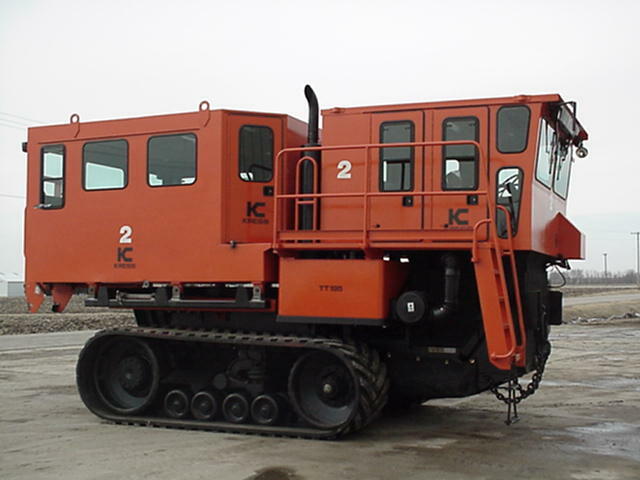 "Presently Kenco Manufacturing produces a large array of replacement parts for equipment in the construction industry, including ROPS, track guards, engine enclosures, hood sweeps, root and rock rakes, cap screen packages, enclosed soft cabs, and motorgrader and dozer rippers. The company also specializes in jobs for the military including specific paint schemes for different military theaters of action throughout the world. Its cabs can be customized to include heat, air, sound suppression and stereo systems." The above excerpt is from Construction Equipment Guide, "The Nation's Best Read Construction Newpaper." Kenco Manufacturing is family owned, and puts all of their blood, sweat, and tears into producing great attachments for machinery. They have a wide variety of attachments that can be purchased and viewed in the product catalog. If you are interested in purchasing any equipment Contact Us.